Have you ever noticed kids don’t need permission to create? I remember years ago being in Mexico and we brought Popsicle sticks, glue, construction paper, scissors, etc and sat it out in front of the kids and they played for hours. I’m thinking about play and creativity because my friend Aubrey is coming into town with her Mom, Tiffany. The last time Aubrey was in town was a year ago and we got out a container of buttons and created. Aubrey didn’t need permission to create she just jumped in and decided to do it. Recently I was evaluating my life and doing art and I realized I had two totally dry season. When I got in college until Stephany, our daughter was in elementary I just didn’t create (probably 12 years). I think I realized I was a grown up and had to get around to the seriousness of life. I’m sure I did some decorating and occasionally some fun, but didn’t give myself permission. I went through another dry spell of being a “grown up” (another 10 years) and finally started taking some art classes that got me back into doing art. Yet it really wasn’t until this year that I gave myself permission to do art on a regular basis. 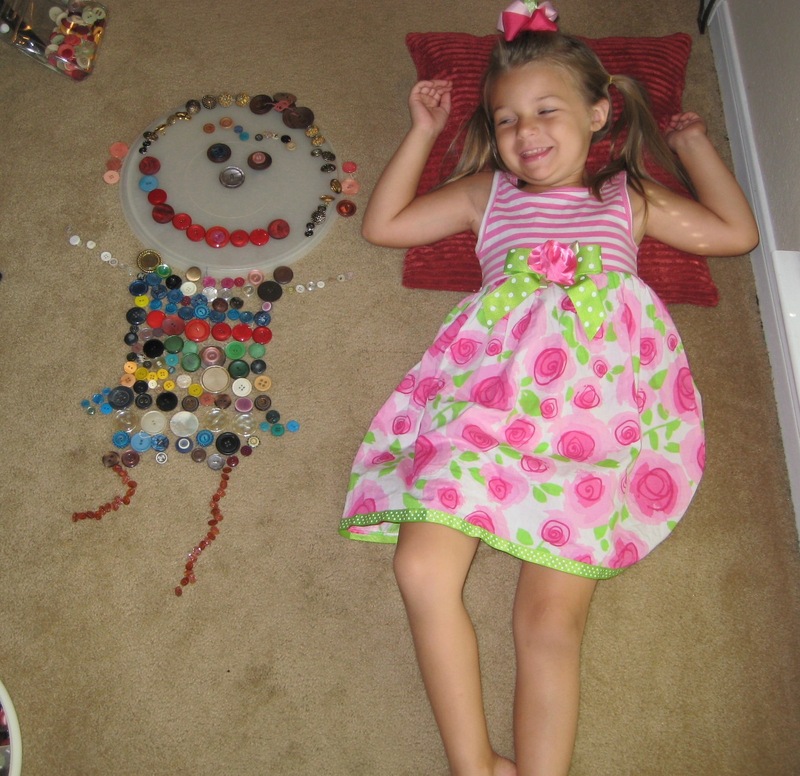 So looking at this picture of my young friend I would say there is the child in each of us that wants to create. What could you create? This week whisper to that child within and let them play in some way unexpected. Again set the timer for 15 minutes. My guess is when the timer goes off and you look up you will want to keep doing what you were doing.